Barnstormers Theatre creates and performs quality collaborative inspiring theater art that is accessible and affordable, with a special focus on encouraging and developing new talent from our community. Welcome to Gallery One. Located in the Historic District of downtown, our gallery and gift shop offer some of the finest art available in the Rogue Valley. The Glass Forge specializes in Venetian style art. Hand blown vases, bowls, perfume bottles, and one-of-a-kind sculptural glass art are displayed and for purchase. Making glass from the sand up. 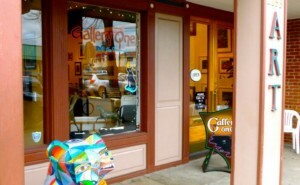 An immersive art gallery on the corner of 6th and G st. in historic downtown Grants Pass, Oregon.